HMD Global has introduced the Nokia 7.1 smartphone in India. The phone, initially launched in Europe, will be heading to India on December 7th in Gloss Steel and Gloss Midnight Blue colors. 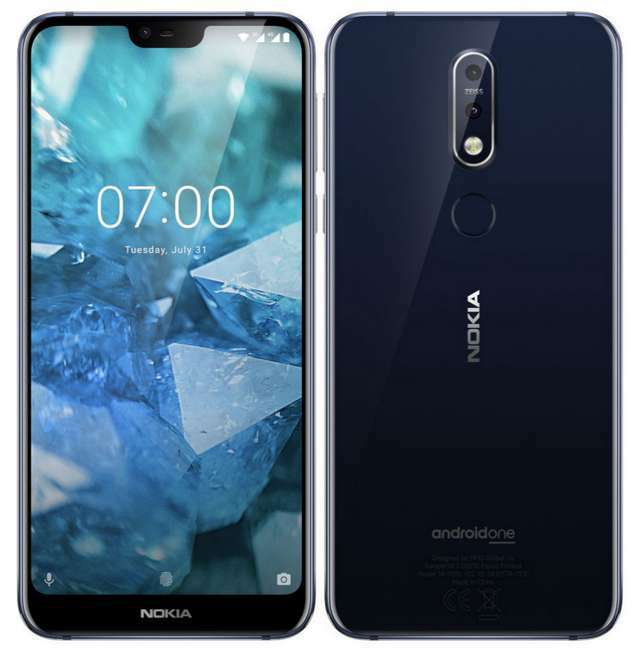 The Nokia 7.1 has a 5.84-inch IPS display with Full HD+ resolution that is HDR10 certified, protected by Gorilla Glass 3. The display supports SDR to HDR real-time conversion, this should improve content viewing across the board. It is powered by a Snapdragon 636 processor clubbed with 4GB of RAM and 64GB of expandable storage. The phone has dual camera setup at the back in 12MP+5MP configuration, while it sports an 8MP camera at the front. It runs Android One based on Android 8.1 Oreo, is equipped with a fingerprint sensor at the back, while the power is supply by a 3,060mAh battery. It will be available on Nokia store and other popular stores across the region for Rs 19,999 ($280 USD).